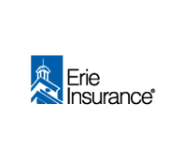 Who is Erie Insurance? We’ve been helping people make things right since 1925, working side-by-side with the best insurance Agents in the business. For more than 90 years, Erie Insurance has been fulfilling its promise to Customers to provide auto, home, business and life insurance rooted in the principles of honesty, decency, service, and of course, affordability. We offer products that protect you without surprises.